And hello sunshine! After all of the dreary days we have had lately, the sun is a lovely change. The ice and snow are beginning to melt away, and I might even get the car down the driveway by mid week! I have a card to share today that I created for my chemo lady. Colorbok CS, Memory Box 'Meadow Birds' D1376, Hero Arts Sentiment, Satin Ribbon: Papermart, Embossing folder: Nellie's Choice HSF004 'Oval Frame 1' purchased from Joan's Gardens. Yesterday was the annual YMCA Women's Wellness Weekend. Each year, I volunteer my time, and supplies, and teach lots of ladies to love what we all love! We made some very cute things yesterday, and I hope it's okay that I share them here! Next up on yesterday's agenda, was a corner bookmark. This was easy peasy. Followed a template that I purchased a LONG time ago from Donna at Butternut Sage Designs. Just a basic triangle with a bit of funky trimming at the bottom, and the addition of a loop of ribbon, and a flower (theirs was much prettier, and about twice the size as mine) from Target's $1 bin. Our next project was a post-it note holder. I did not have a 'template' for this. I just placed the post it on a rectangle of CS, and put score lines where score lines should go, decorated the panels, and added a velcro closure, and a computer generated initial. Again, the ladies were very impressed with themselves! I think they were very pleased! I had two workshops yesterday. Each session created the same projects, so there were different ladies in each session. The first session began at 2:00 p.m., and I was finished with first AND second sessions by 5:00 p.m. Whew....I felt like I'd run a marathon! The room was set up in a U shape, and the tables were about 10' apart, so if I helped on the left side of the room, and was needed on the right side of the room, I certainly got some much needed exercise! Well, hope this wasn't too terribly boring! Wanted to post before I got sidetracked and forgot! Welcome to my blog! 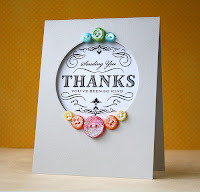 Today, I'm sharing some wonderful Great Impressions Stamps, for my guest design Thursday post, and a DT project that I've created for Creations by AR! What fun! For this project, I've chosen to use the Great Impressions Stamps, F318 Chickadees, and C430 Cursive Happy Easter. The image was stamped, colored with Copic Markers, and adhered to the handle of the Creations by AR Goody Basket! These little chicks were so much fun to color - check out the teensy little flowers they are standing around! I think I'm going to use this one a lot! And I love the cursive sentiment! This Goody Basket is created using some DP that I've had on hand for a long while - time to use it up, and it was perfect for this fabulous template! Remember, I don't have a cutting machine - all of Adela's templates that I work with, are cut by hand! If you are lucky enough to own a cutting machine, each of her files come in three formats: PDF, SVG, and DXF! Can't you just imagine this template for a wedding reception, baby shower, or child's birthday party? One lucky reader will win this template - it could be you! Just leave a comment at each blog. Comments are also welcome at the Creations by AR Facebook Page, and Paper Craft Planet Group, and will be accepted until 12:00 noon (EST) on Sunday, Feb. 24th. Winner will be announced on 2-25 at the Creations by AR's website, Adela's Blog, the AR Group on PCP, and the AR FB page! Hop on, dear friends, and enjoy! I have something really fun to share with you today! Have you been following Wida Miller's CASADIA? I've been following for quite a while now, and this is one of the best ideas I've seen, and such fun! What is Casadia, you ask? It is a card chain! Sort of like when we used to play 'telephone'. who was then cased by Wida Miller, who then invited all of us to join in the fun! And here is the most recent card, by Suzanne Dahlberg, which I was invited to CASE. To see all of the cards in the chain, pop over to Wida's Casadia Page! Now, a little about MY card! This was a great card for me to CASE! A pretty tough act to follow, but OMG - Case-Heaven! Suzanne had me at Kraft! And Kraft with dots? Be still my heart! 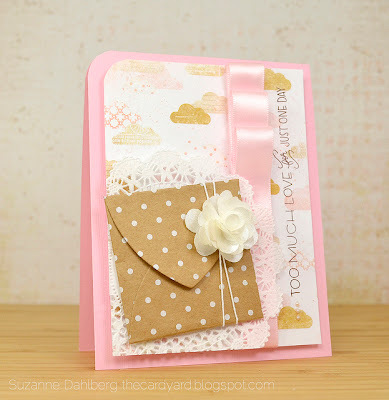 The next thing to make me smile was the soft pink ribbon and lacy doily. I am a card angel for folks undergoing chemotherapy, and I immediately thought of the Amuse Breast Cancer stamp set that I got last October. That's how this card evolved. Amuse "Fight Like a Girl" Stamps, Color Box Chalk Inks, Amuse and misc. ribbon scraps, flower from my stash, Baker's Twine: Really Reasonable Ribbon, Kraft CS, Bazzill CS, Perfect Layers Rulers 1/16" and 1/8". I hope that you will go check out all of the fabulous cards in the chain. And if you are interested in being a part of CASADIA, contact Wida Miller, and get on the list! So...I have a winner to announce! I put all 47 comments in a bowl, and had DH draw a name. had also left a comment and 'liked' the Great Impressions FB page. Thanks for the terrific opportunity as well! and I must admit that I'm very glad it's not here. I have not had any blog candy posts in a very long time, so let's do it! and it called right out to my pastel copics! The best thing about it, is how it needs nothing else - just stamp, mat, and assemble card! What IS the candy, you ask? Your choice of THREE stamps from the Great Impressions Stamps Store! Just leave a comment here, on this blog post, then head over to Facebook to the Great Impressions Stamps Facebook Page. "Like" them, and leave a comment saying "Patti J. sent me". You could soon be inking up some brand new, yummyliscious stamps! On a side note, I have some new followers - welcome! I've tried to visit some of you, too, but blogger won't let me click through from your photo to find your blog links. I think there is a permission box someplace that has to be checked for your profile info to be visible to me. Anyway, if I have not been to visit, please know that I have tried!!! will post the winner on my blog. Good Morning, and welcome to my Great Impressions Stamps post. four-letter 'S' word for next week, the beautiful warm day made me want to ink up this sweet bicycle. Don't forget - you have lots of time to join in our February Challenge at the Great Impressions Stamps Blog. 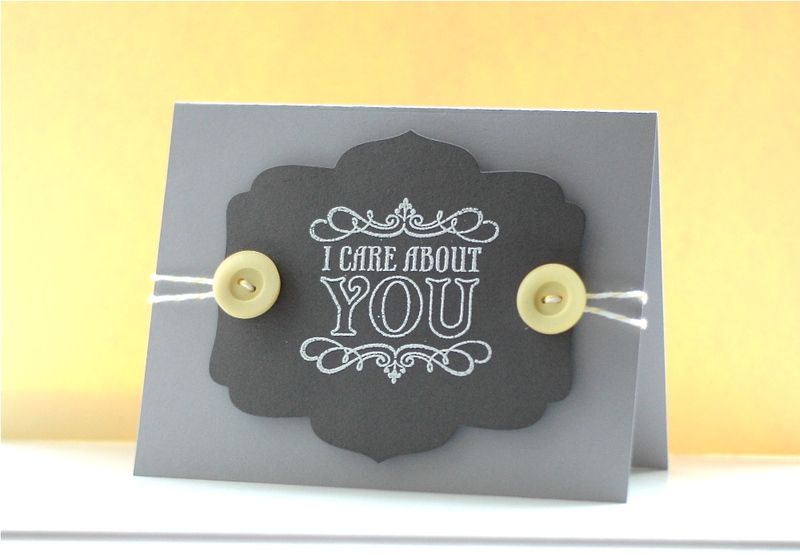 Just include some hearts on your card - you can stamp them, punch them, die cut them, or use some fun ribbons with hearts! 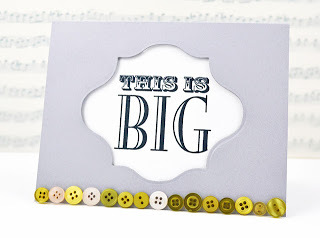 Hope to see your card linked up - YOU could be the next Guest Designer! It's time for the February Challenge at the Great Impressions Stamps Blog. The challenge is to include hearts on your projects. Any hearts are welcome - stamped, die-cut, heat or dry embossed, bling, whatever you like! I needed a little something to send my chemo lady, so instead of a card, I've created an A-2 sized Post-It Holder, easel style. I think it will be a pleasant surprise for her! Great Impressions Stamps: D364 Happy Valentines and Flowers, B189 Love Chicks, DP scraps from my bin, Bling is Recollections from Michael's, Ribbon is Amuse Stamps, Coloring with Copic Markers. Great Impressions Stamps, for the month of February! You will be seeing a lot more wonderful GI Stamps this month! and of course, I've loved working with all of the fun GI stamps! 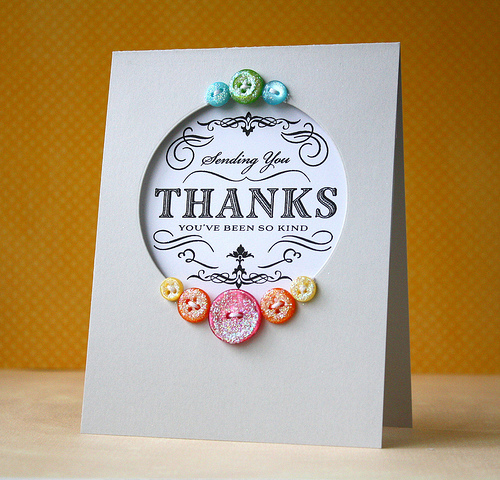 I hope that you will link up your card at the February challenge - maybe YOU will be the next lucky guestie! We can't wait to see your 'hearts'!